If someone has parked on your property illegally or if you need roadside assistance or emergency towing, we have the perfect solution for you. With many years of experience, our towing company is equipped to deal with any kind of situation. No matter how many signs you post on your private property, there will always be someone who will park their vehicles on your private property. Towing services are offered to customers who want to remove unauthorized vehicles from their property. The towing contractor enters into an agreement with the owner of the private property so that they are able to remove vehicles that have been parked illegally. The towing services are used by property owners to manage their parking lots. Property owners and towing contractors should understand the risks of improper towing and avoid it at all costs. If towing is not done as per the details specified in the agreement, it is a violation of the laws and this can attract penalties. The property owner signs the agreement for the towing service if they want the vehicle or vehicles to be removed from their private property. The vehicles are removed because they didn’t give permission for the vehicle/vehicles to be parked on the private property. Private party towing agreements give the towing company the authority to enter the property referred to in the agreement. The agreement enables them to remove any vehicle that is deemed abandoned, unauthorized, illegally parked or inoperable as per the terms of the agreement. The independent contractor assumes all liabilities for damages that are incurred when the vehicles are stored or removed. The contractor will also assume all responsibilities that are related to the notification of law enforcement agencies. Law enforcement agencies need to be notified when vehicles are impounded from private properties. The agreement will commence on the day specified in the towing agreement between the contractor and the owner of the private property. The agreement will remain in force until it is canceled by either of the parties. The agreement will indemnify and hold the property owners harmless from any damages, losses, causes of action, liabilities or court proceedings that result due to the action of the contractor. If any part of the agreement is determined by the court of law to be unenforceable then the remaining part of the agreement will continue to remain in force. The towing agreement should follow all laws and statutes that are set by the State. Any additional laws that are set by the municipality of each state should also be followed. It is advisable to choose a towing company that is reputed and has many years of experience. A fleet of tow trucks, from flatbed towing to winch recovery, will help in towing any type of vehicle from motorcycles, cars to fifth wheels. Towing vehicles that are parked within a private property are subject to the laws of the state. Strict requirements should be followed when towing a vehicle. Failure to comply with these requirements will result in penalties. The illegally parked vehicles are towed to a specified location. Owners of the vehicle will be able to get their impounded vehicles back when they are able to submit documents that prove their ownership. A small fee is also required to be paid by the owner of the vehicle. The towing vehicles that are used in the towing process should comply with the state and city licensing requirements. The towing vehicles should also meet safety inspection requirements. The towing contractor should maintain sufficient efficient and trained personnel to provide the services. The tow signs that are installed at the private property should meet all the requirements that have been specified by law. They must be prominently displayed in the driveway. 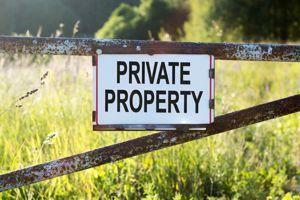 The number of signs that need to be displayed at the property will depend on the size of the property. Private property owners need to provide fair notice to the vehicle owners before the vehicles are towed. The fair notice is in the form of signage that is displayed on the property. The signage should conform to certain standards and requirements before the vehicles are towed. After the signage requirements are met, the private property owner can get into an agreement with the towing contractor to get the vehicles parked illegally removed. When signing a tow service, the contractor should provide a copy of the laws and bylaws that govern private property towing. The contractor visits the private property and installs signs. This ensures that the tow is legal. The towing company informs the police about the towing agreement. This will help in completing all the paperwork that is necessary after the vehicle is towed. You need help fast if your vehicle has broken down or if you are in an accident. The emergency towing service covers a wide area. This means the towing service is not far from where you need it. The emergency service is offered for cars, trucks, commercial vehicles, RVs, fleet vans, and fifth wheels. 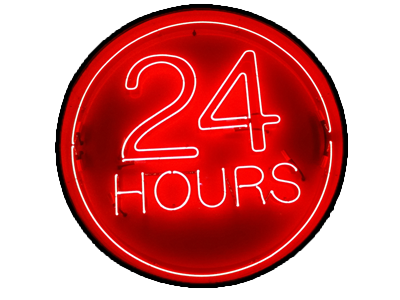 Whatever the reason, the emergency towing service is available 24/7. All that you need to do is to tell where you want the vehicle to be taken. The vehicle will be towed and delivered to the specified location in a safe and quick manner. When you choose a towing company, you should ensure that the contractor is aware of all the changes that are made to the towing laws in the state and municipality. Private property owners are advised to choose towing contractors who are located locally. Local contractors are aware of all legal formalities that need to be completed when towing a vehicle. One of the important things you should understand is that towing of vehicles is a specialized activity. Don’t put your trust in just any company. It is advisable to choose a towing company with many years of experience and a proven track record of safety. 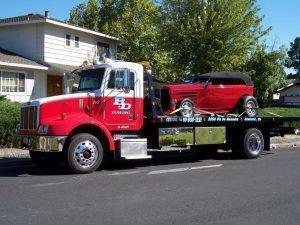 Property owners always look for a towing service that works within the laws specified by the State and Municipalities. All vehicles that have been towed from common areas will need a signature that authorizes the removal at the time of tow. A reputed towing service company will be able to help with any parking challenges. All costs that are related to towing the vehicles from private property will be borne by the owner of the vehicle. The towing company should not commence removal of a vehicle from private property without a proper agreement. A properly signed agreement is necessary to start the towing process. The towing company should abide by all towing laws that are currently prevalent in the state.